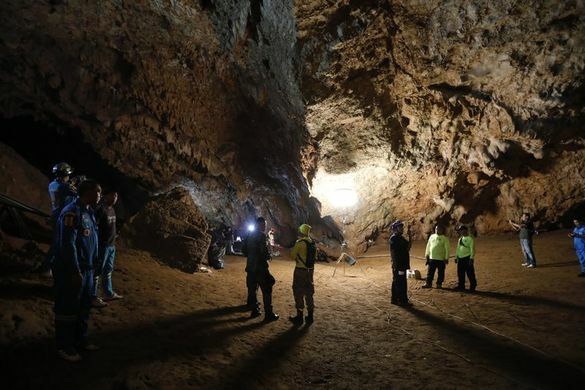 Rescue teams finally found all 12 kids trapped inside a cave complex for 9 days. they’ve been found a t 1 km underground, but safe and sound. They are alive and the joy of their relatives and parents is enormous. The reason why they were inside that cave, is because they wished to have an adventure there, but because of heavy reains the cave flooded and they remained trapped. But all’s well that ens well! CHANG RAI (THAILAND) – A young soccer team is trapped inside one of the Tham Luang Nang Non caves in Chang Rai, north of Thailand. Rescuers and officers are trying all they can to find them, but the environment is absolutely difficult and complex. The group of young boys and their coach are trapped there since the weekend. The missing boys are part of the same soccer team from the nearby city of Chiang Rai, and have allegedly been missing since 1 p.m. Saturday when a park officer spotted something bicycles parked by the entrance to the off-limits cave. They are believed to have crawled into the large series of caves through a narrow, 15-meter-long channel. Rescuers are struggling heavy rains and are searching in a partial flooded cave but for now, no trace of them. Outside the cave, have been found various shoes and bags belonging to the missing boys. Emergency services are attempting to pump water out of the cave complex after the rain flooded the caves and the passages that link them. 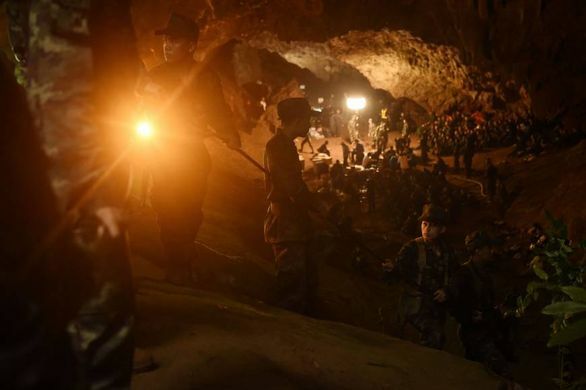 Also a team of Thai Royal Navy SEAL divers tried to re-entered the cave complex early Tuesday but apparently without results. The Deputy Prime Minister Prawit Wongsuwan declared they are still optimistic to find them alive. However, parents and relatives are waiting for news in anxiety.